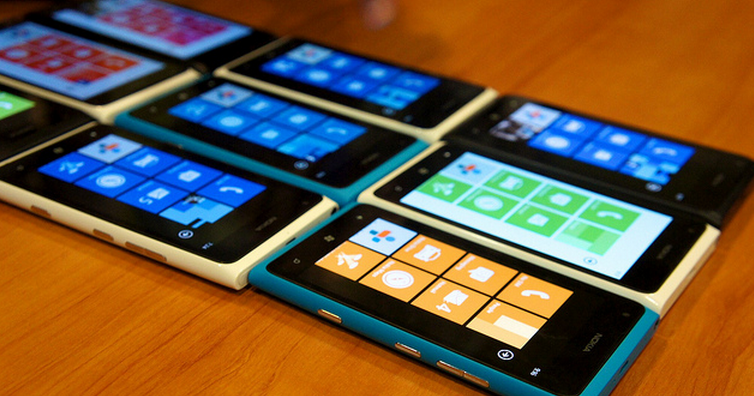 When Nokia decided to adopt the Windows Phone platform, it marked a key shift in the mobile market. Here was a storied giant, moving to adopt an operating system not of its own making, boosting Microsoft and putting its neck on the same chopping block in one swoop. However, data indicates that Nokia is managing to build a brand that supersedes the Windows Phone world, from a consumer interest perspective. What that means is that the ‘Lumia’ line of smartphones appears to be generating more search queries than Windows Phone itself, indicating that the Nokia phones are taking on their own momentum, and not leaning on whatever push Microsoft might have afforded them by being under its mobile aegis. From the moment of its late 2011 launch, Lumia phones have jumped past Windows Phone, pushing the information demand curve higher as time moves along. It’s not easy to tell in this graph, but if you run a search for Windows Phone itself, alone, the trend is positive; more people are searching about the phone line. However, when compared with the Lumia graph, it looks all but flat. There’s another important piece of information in the above chart, namely that the Lumia is beating Windows Phone while enjoying less media coverage. The ‘News Reference Volume’ line for Lumia is nearly always below the tic of Window Phone. This means that the Lumia phones are resonating more than Windows Phone as a whole, as with less coverage, consumers are searching more. That could be due to word of mouth momentum, or something else altogether. All told, it appears that Nokia has managed to craft a line of phones that have their own brand identity, meaning that as Windows Phone goes, not necessarily does it have to follow. That could help the company’s investors rest a mite easier at night.